Almonds have many health benefits as well as they are also good for our skin and hair. Almonds are healthy for our health because it contains lots of healthy proteins, fiber, fats, magnesium, and Vitamins. Almonds are also the source of high level unsaturated fatty acids which are responsible for prevention of cardiovascular heart diseases. 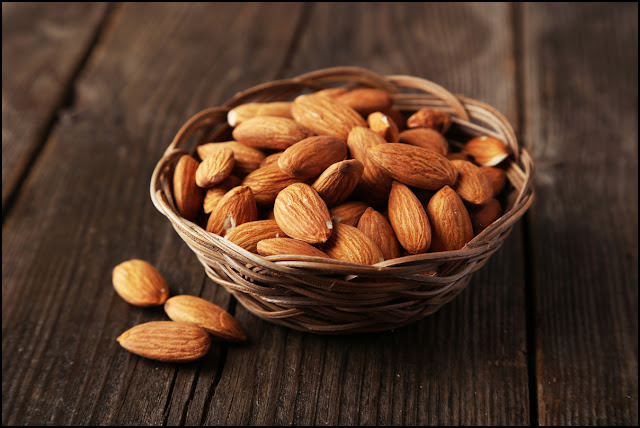 In this article, I will tell you amazing health benefits of almonds. Eating almonds daily is a very easy way to incorporate essential nutrients into your diet. Almonds are rich in calcium, magnesium, potassium and Vitamin E. Additionally, almonds are the significant source of fiber and protein. Among all the tree nuts almonds are very rich in protein and fiber. Almonds are a very good source of energy because almonds contain riboflavin, copper, and manganese. If you are on your work or anywhere always keep almonds with you. Because it is a very good energy booster. Almonds contain some crucial nutrients such as riboflavin and L-carnitine. Both of these nutrients are responsible for the growth of brain cells. Almonds are also the source of phenylalanine. It is a brain- boosting chemical that aids our cognitive functions. According to Indian ancient Ayurveda, soak 5-10 almonds overnight in water and eat them in the morning on empty stomach will increase your brain power. Incorporate almond in your healthy diet may help you prevent weight gain. Almonds contain three total grams of dietary fiber, with 0.5 grams in the form of soluble fiber. Fiber may be beneficial in controlling your weight because it helps to keep you full between meals. Insoluble fiber keeps your bowel movements regular, and soluble fiber forms a thick gel in your intestines that helps keep you satiated. The fat and protein in almonds promote satisfaction as well. Keep your snacking to a small handful per day, however, since too much fat and calories can cause weight gain. Eating raw almonds daily may reduce the risk of heart disease. Almonds contain many crucial nutrients that help to contribute to increasing heart health. Almonds are also a rich source of magnesium, which is critical in preventing heart attacks and hypertension. Almonds are also effective in reducing bad cholesterol and preserving healthy cholesterol, which plays a major role in heart health.